What's an Egglette you say? It's the new kitchen gadget you never knew you needed! A silicone pod that lets you cook boiled eggs without the shell. Just crack the egg into the pod without peeling and making a mess. The secret is the thermodynamic non-stick silicone material that allows the egg to cook just like it would inside the shell. In the past week, alone searches on ebay.com.au have jumped 185%. And surprisingly, women are only slightly more likely to search for the gadget than men 40% vs 38%. While those aged 45-64 are most likely to search, followed closely by those 25-44. Their popularity is no doubt down to their low cost, with the average Egglette costing $6.18 on eBay.com.au. 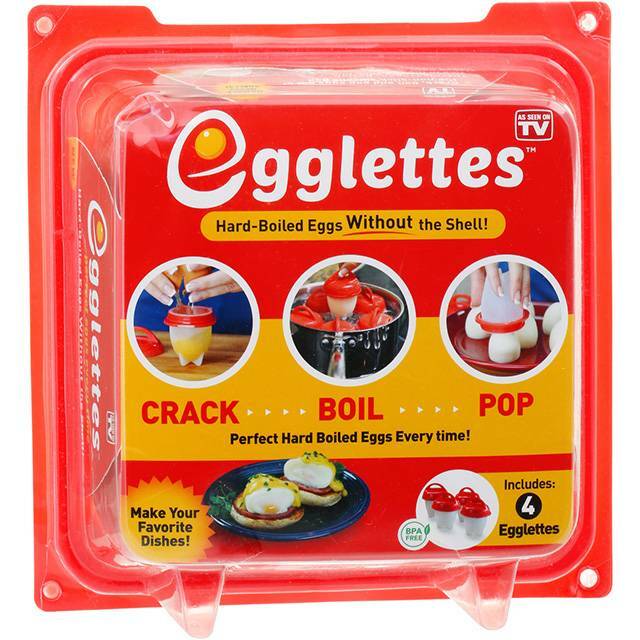 Really love the Egglette, really easy way to make healthy snack for kids or myself without the mess. Who doesn't love a hard boiled egg straight from the fridge, but can you really be bothered removing the shell ... or does this lead you to an unhealthy snack because it's quicker. Get eggs ready in advance as snacks that are quick to grab and go. You can even make mini omlettes by just adding a few extra ingredients. This has to be my favourite food gadget this year.